Just for Fun! All Ages: Halloween Spooktacular. 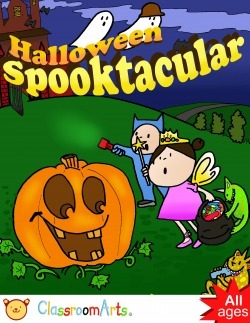 Enjoyed by all ages, this spooky, kooky coloring book has mazes, bright illustrations, and creative activities. Escape a witch, bring ghosts to life, and color vampires and monsters! Enjoy Halloween and happy Trick or Treating ! Land with the Pilgrims at Plymouth Rock and explore the forest with the Indians. 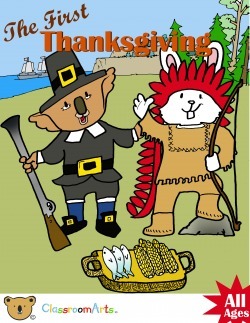 Share food and have a Thanksgiving celebration as the Indians and Pilgrims forge a friendship. Big illustrations and a simple narrative show the first thanksgiving. Get into the spirit of the holidays with this festive and fun coloring book. Just for fun! All Ages: Christmas Magic. Ho! Ho! Ho! Merry Christmas!. Cozy up by the fire and get into the spirit of the season with this fun coloring book. 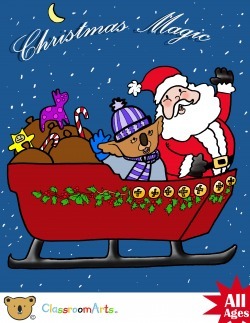 Santa Claus, Elves, Christmas Trees and Toys let kids share in the joy of Christmas. Big illustrations and activities make the wonder of the season even more wonderful! Grab your favorite pencils and crayons and join the world of the North Pole in celebrating the holiday.